If Seattle dad Mike Beery knows his way around pixels and PhotoShop, it’s no surprise; he’s a seasoned graphic designer. More surprising is the fact that he manages his business alongside a bustling classroom—granted, the class convenes at his family’s Beacon Hill kitchen table, and the students are his two children, Grace, 11, and Gavin, 8. The Beerys illustrate the changing image of homeschooling. Like the graphic images Mike creates for clients, it’s a picture colored by modern technology, as electronic curricula and online schools make home education a possibility for people from all walks of life. Once thought of as an educational off-ramp for a select few, homeschooling is now a viable option for families that might not have considered it a decade ago. The population of homeschooled students grew by about 7 percent from 2007 to spring 2010. According to Brian D. Ray, Ph.D., founder and president of Salem, Ore.–based National Home Education Research Institute (NHERI), there are now 2.04 million homeschooled students in the U.S.—an increase of 140 percent since the turn of the last century. Just who is homeschooling these 2 million students? The needle hasn’t moved in terms of homeschooling demographics; there is still more than a grain of truth to the belief that homeschooling families tend to be white, religious and larger than average. According to published reports from the National Center for Education Statistics (NCES) and the NHERI, the vast majority of homeschooled students are white (77 percent), and their families are helmed by married parents (97.9 percent), with a mother who doesn’t work for pay (81 percent). Most of the families (68.1 percent) have three or more children. Reports from the NCES indicate that today’s home-educating parents are slightly less likely to do so for religious reasons (2.4 percent) and slightly less likely to be white (1.7 percent) than they were a decade ago. According to the NCES, parents’ top reasons for choosing homeschooling have remained consistent: the desire to provide moral education, concerns about the school environment and dissatisfaction with the academic instruction at local schools. The overarching theme, says Ray, is that most parents who choose to homeschool believe they can provide a better education at home, and they embrace their right to do so. That aspect of homeschooling hasn’t changed. So then, what has changed about homeschooling in the past decade? What is prompting families to jump onboard? According to Ray, Beery and others, it’s a combination of technology-aided learning and a corresponding surge in educational options for homeschoolers, from free, government-run online schools and online tutoring to turnkey DVD curricula. These new educational offerings do more than crowd display booths at homeschooling conferences. They remove a major access barrier to homeschooling—the need to have a parent at home full time. 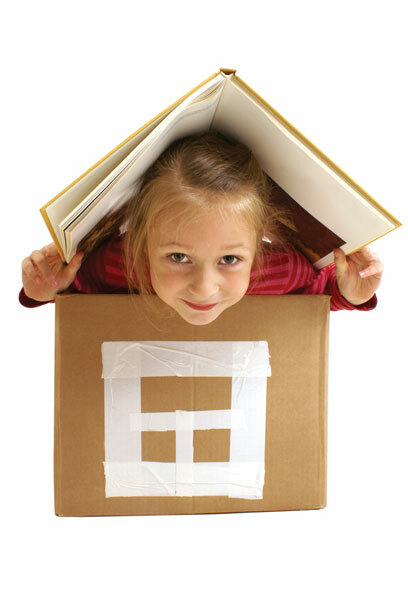 By reducing the intimidation factor, the isolation and even the parental workload once associated with homeschooling, online schools and complete-school-in-a-box curricula make it possible for working parents, single parents and other nontraditional homeschoolers to successfully educate their kids at home. Parents can choose from a growing menu of options to completely customize their child’s education, and that’s extremely appealing, says Ray. “With the variety of support systems, curricular materials and online support services that are available, there is absolutely no lack of anything that a homeschooling family could want,” he says. The Beerys find balance with a DVD homeschooling curriculum that provides video instruction and lesson plans for each child. It’s rigorous and fairly structured, and, because the lesson plans come already tailored to each child’s grade level, Beery doesn’t need to spend hours each night preparing the next day’s schoolwork—something he doesn’t have the time for, since he often works at night. Prepping for each day takes about five minutes, he says. “My wife and I provide support and help when the kids need it. She helps with math; I’m the history person. But they’re old enough to work pretty independently now.” Most days, the kids spend their mornings on lessons; Beery oversees their work and stays in touch with clients. Afternoons are spent at swim lessons, sports classes and other activities. Technology-supported home learning also addresses the unique challenges faced by single and divorced parents. For childbirth educator Kelli Barr-Lyles of Spanaway, a divorced parent, Washington’s free online school, The Columbia Virtual Academy, is a way for her to meet her ex-husband halfway. Her two sons, Jonathan, 13, and Christopher, 9, check in regularly with a learning adviser and fill out monthly accountability worksheets. The system builds learning outcomes into her style of “unschooling” while providing enough structure to keep her former husband, who favors more traditional education, happy. “It drives me crazy, but it holds me accountable,” she says. Technology also increases the feeling of being connected and creates a sense of community, says Barr-Lyles. Finding support is important, especially as kids get older and the playdates and parent-child gym classes that once provided regular interaction with other homeschoolers taper off. 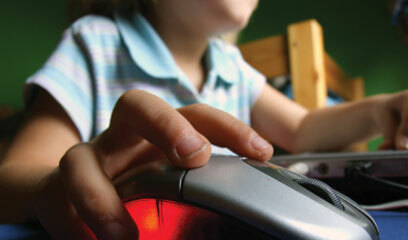 Luckily, the nearest homeschool group is usually just a few clicks away on the web. “There’s plenty of support out there,” she says. She belongs to “at least a dozen” homeschooling support groups through Yahoo and Meetup.com. Debra Green of Aurora, Colo., didn’t have the benefit of online support when she homeschooled her first two children, now 26 and 23. Now that she’s homeschooling her younger children, Lilly, 6, and Nathanial, 5, she draws on experience and resources from around the world through Heart of Wisdom, a worldwide Christian homeschooling group that communicates primarily through email and message boards. She organizes a local chapter, Home of Wisdom, in her hometown. Community programs, often facilitated and managed online, allow homeschooling families to circumvent one of the primary challenges associated with homeschooling: socialization. But there can be downsides to the explosion of technology-aided homeschooling, says Ray. Often, too many choices mean that homeschooling can be overwhelming to newcomers. “When your child attends public school, the curriculum is figured out for you,” says Ray. But homeschoolers are faced with the significant challenge of sifting through dozens of curricular offerings and countless websites and message boards to find out which approach is best for their unique child. It’s information overload, plain and simple. For the Beerys, that means supplementing the DVD curriculum with a weekly homeschool co-op, where the kids learn alongside their friends. The face-to-face learning is the perfect complement to techno-homeschooling, says Beery; his kids get the best of both worlds. “We couldn’t do it any other way. Tacoma-based freelance writer Malia Jacobson was homeschooled in the late ’80s and early ’90s. Her homeschool memories involve trekking to far-flung bookstores every fall to pick out textbooks and workbooks.